Providing extra emotional support with personal and emotional development to any young person, for whatever reason....this is the goal of the step=by=step workbook in this educational resource, complete with guidance for anyone who is undertaking tong-term interventions with young people. The Coalition government may change what such work is called, and may even choose to cease declaring that 'Every Child Matters'. 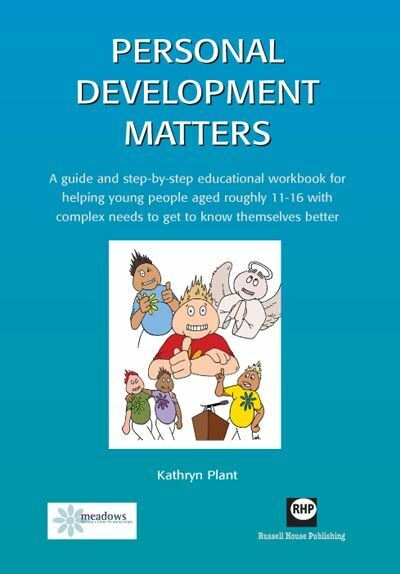 But there will still be young people who need the extra help and support that this manual can help provide. The introduction can help a wide range of people to prepare for tis educational work, including teachers, learning mentors, youth justice workers , social workers. residential care workers, key workers and foster carers. Psychologist, therapists, counsellors and other professionals involved in long-term interventions with young people may also find it useful.